Recently, Nanning IKEA Shopping Mall started construction on its project site in Nanning Wuxiang New District, which is the first IKEA shopping mall built in Guangxi by IKEA, the world's largest retailer of household goods. It is expected to be opened in 2020. 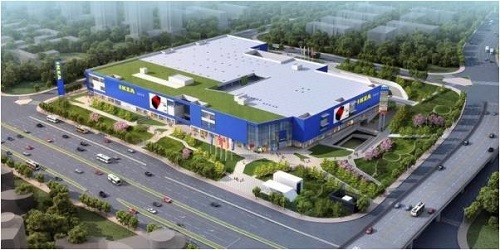 Nanning IKEA Shopping Mall is located to the west of Pingle Avenue and south of Songxiang Road. Wuxiang New District is a new commercial and residential area which attracts many domestic and foreign enterprises to invest and develop in this district. It is reported that Nanning IKEA Shopping Mall is China’s first commercial complex project in comprehensive development mode adopted by IKEA. Besides IKEA, some internationally famous brands will also enter the building complex for the first time. The project has two floors underground and three floors above the ground. The total construction area of the project is about 120,000 square meters, which can provide about 900 parking spaces.